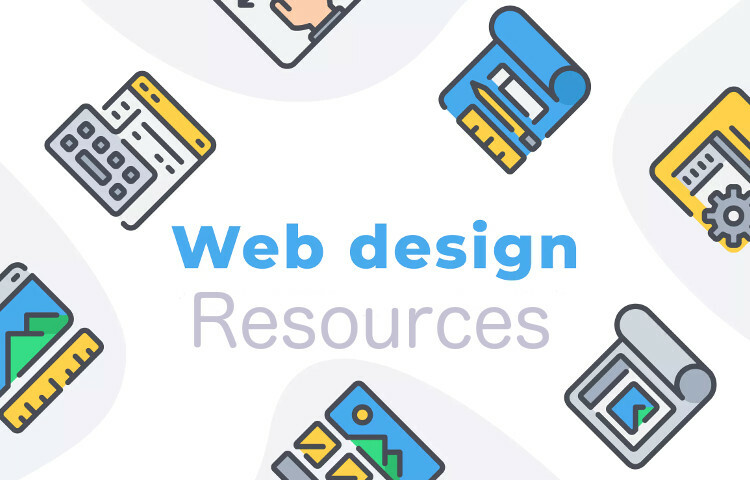 A list of web development, web design, graphic design, and marketing resources to use for your projects. Freepik – Vectors, photos, illustrations, icons. Gratisography – Free stock images. Photos Icons8 – Stock images. 123rf – Stock images, vectors. Envato Elements – Photos – Stock images, vectors, fonts. Iso Republic – Stock images. Google Fonts – Free Google fonts with huge library. Creative Market Fonts, graphics, vectors, illustrations. Pixel Surplus – Fonts, graphics, vectors, illustrations. You Work For Them – Vectors, graphics, illustrations, backgrounds, icons. Envato Elements – Fonts – Graphics, fonts, vectors, illustrations. Freepik – Vectors, backgrounds, icons. Vecteezy – Big library of vectors. Freebiesbug – Mockups, icons, vectors. VectorStock – Vectors, backgrounds, illustrations. 123rf – Vectors, illustrations, and photos. Creative Market – Illustrations, backgrounds. You Work For Them – Fonts, vectors, graphics. Canva – Infographics, flyers, business cards. Get Craft Work User interface for designers. Pixeden Web templates, icons, vectors, graphcis. Envato Elements A popular website for graphics, vectors, icons, and illustrations. Pixel Surplus – Fonts, graphics, textures. Creative Fabrica – Graphics, fonts. Vector Arte – Creative modern illustration vectors. Design Cuts – Fonts, graphics, backgrounds. The Stocks – Icons, fonts, video, mockups. Mazwai – Flat design color palette picker. Flat Icon – Web icons. Ui Gradients – CSS gradient generator. Codepen – Sharable code and snippets. W3 Schools – Extensive code library. Foundation Zurb – Responsive framework. Responsive Px – Web app to find responsive break points. Pingdom – Website speed test, and analysis. Github – Community for web developers. Fiverr – Web app for hiring freelance services like content writers, and graphic designers. Giphy – Popular website for creating gif images. Pingdom – Performance website for testing site speed. XML Sitemaps – Sitemap generator and SEO analizer website. SSLS – NameCheap – Affordable SSL certificates. Uprinting – Business cards, flyers, banners, signs. Best Of Signs – Banners, signs, stickers. RedBubble – Shirts, mugs, hoodies, stickers. Rockin Monkey – Stickers, labels. Sticker Mule – Stickers, labels. Moo – Flyers, business cards, letterheads. GIMP – GIMP is a free and open-source graphics editor used for image retouching and editing, free-form drawing, converting between different image formats and more specialized tasks. Available for Mac and Windows users. PhotoShop – Adobe Photoshop is one of the most used graphics and image editor. Available for Mac and Windows users. Sketch – It’s a professional design tool that utilizes a fully vector-based workflow. For Mac users only. Affinity Designer – Affinity Designer is a vector graphics editor developed by Serif for macOS, iOS, and Microsoft Windows. Brackets – A modern, open source text editor for coding. Sublime Text – Widely used text editor for coding. MAMP – Local server environment that can be installed under macOS and Windows for local web development. Postgres – Advanced open source relational database for local development.